Many homeowners in Maple Grove are familiar with the side effects of a pipe burst and this is why our water damage Maple Grove team with 911 Restoration is always at the ready. This kind of water intrusion can cause flooding, which leads to water damage and eventually mold. Branch owners of 911 Restoration of Minneapolis Patricia Engen and Jenna Reese know the importance of efficient service when it comes to dealing with water damage, and their water damage Maple Grove team is exactly the people you want on the job. The IICRC certified water damage Maple Grove crew are backed by over 35 years of experience, making them one of the best in home restoration field. They promise to be at your home within 45 minutes of your call, fully equipped with all of the latest water removal technology. The water damage Maple Grove pros are standing by and available 24/7/365, waiting until you need them to come and restore your home. 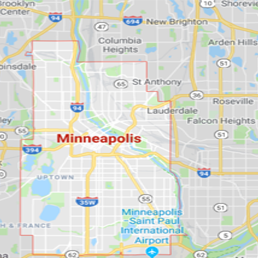 The licensed, bonded and insured operation is the most trustworthy source in Minneapolis, and Patricia and Jenna pride themselves on that fact. The water damage Maple Grove professionals want you to be as protected against water damage as possible. In order to prepare for the unexpected, it is necessary to take precautionary measures. Below are some tips from the water damage Maple Grove experts on how to save your home from getting badly damaged in a flood. Safeguard your electrical systems. By raising switches, sockets, circuit breakers and keeping all of your indoor wiring a foot above the ground, you will guard against any electrical problems during a flood. Make sure your outdoor equipment is raised above the flood level. This includes, fuel tanks, air conditioning units and generators. Make sure all these appliances are also anchored, so they will not get swept away by the flood. Modify all of your water valves. By doing this you will guard against any type of sewage backup that may occur during a flood. Gate valves are the recommended valve type, since it gives the homeowner more control over what gets in and out. Angle the ground outside your home so that water flows away from the structure. Draining water away from the building will protect against excess water penetrating the home by flowing under doors or any cracks in the structure. Don’t let your home suffer through the effects of a category two water exposure alone. Contact our water damage Maple Grove team with 911 Restoration Minneapolis and let our specialists solve it all for you today! If your home gets flooded despite your precautionary measures, do not feel defeated. Jenna and Patricia’s water damage Maple Grove techs will be at your house ready to give you a free water damage estimate and begin cleaning up the water. The owners want their customers to know that they come first, and making them feel safe and secure throughout the entire ordeal is the main goal of the water damage Maple Grove service agents. Our team will make sure to always put the customer and their needs as our number one priority. We are totally dedicated to professionalism and that allows us to stay at the top of our game in the industry. 911 Restoration wants nothing more than to give you and your family a fresh start by starting the renovation process. If your home is already submerged, call our water damage Maple Grove team with 911 Restoration Minneapolis so we can get begin creating the home of your dreams again today!